Facet joint disease, which is also known as facet syndrome, spinal osteoarthritis, facet hypertrophy or facet arthritis, is a spinal condition occurs when the facet joints in the spine degenerate to the point of causing painful symptoms. Facet joints traverse the entire length of the spine and are located on either side of every vertebrae. 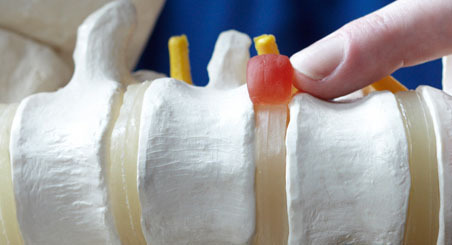 As with many joints, facets exist to connect vertebrae together and help facilitate smooth motion throughout the back. They also help keep the spine stabilized and prevent it from motion that could be potentially harmful to the vital nerves that are located within the spinal column. Facet joints are lined with cartilage which not only helps ensure smooth movement between bones but also serve as shock absorbers for the daily weight and pressure that is naturally put on the spine. However, like many other joints throughout the body, facets are susceptible to natural wear and tear and can, over time, can experience cartilage degeneration. When this happens, the conjoined vertebrae can begin to rub together which can cause inflammation, swelling and other painful symptoms. Additionally, if the bones rub together for long enough, the body will naturally begin to address the instability within the spine by creating bone spurs, thickened ligaments or even cysts that can potentially pinch or put pressure on adjacent nerves exiting the spinal column. If allowed to progress far enough, these symptoms can cause debilitating pain and make simple, daily activities almost unbearable. It’s important to note that while the degeneration of the facet joints is known as facet disease, it is not necessarily a progressive or degenerative disease. On the contrary, much like degenerative disc disease, the title actually represents wear and tear that occurs naturally over time within every spine. It should also be stated that many people with facet disease never experience symptoms. It all depends on the location of the degenerated joint, the amount of damage it has experienced and the amount of pressure it is putting on the surrounding nerves. As was mentioned previously, the symptoms and amount of pain a person experiences from facet disease depends almost entirely on the location of the degenerated joint, the extent of damage that has occurred and the amount of pressure that it is putting on the surrounding nerve roots. Some people with facet disease may experience no pain whatsoever while others, with the same amount of damage, may be completely incapacitated. Additionally, the type of pain felt depends directly on the location of the affected facet joint. For example, a degenerated joint in the upper spine will generally manifest itself through symptoms in the neck, shoulders and, occasionally, headaches. Pain that is exasperated through certain spine movements, like twisting your back, bending over, leaning back, etc. Many cases of facet disease do not require surgery and, more often than not, symptoms can be addressed through conservative treatment such as heat therapy, anti-inflammatory medication, rest and/or physical therapy. However, for more serious cases of facet disease, surgery may be required to relieve pressure on the nerve roots exiting the spinal column, remove bone spurs and help reduce or remove pain caused as a result of a degenerated joint. At Atlantic Brain and Spine, our surgeons are trained in the most advanced minimally invasive spine procedures that can help treat facet disease. For more information about facet disease or treatment options, please contact our spine specialists. 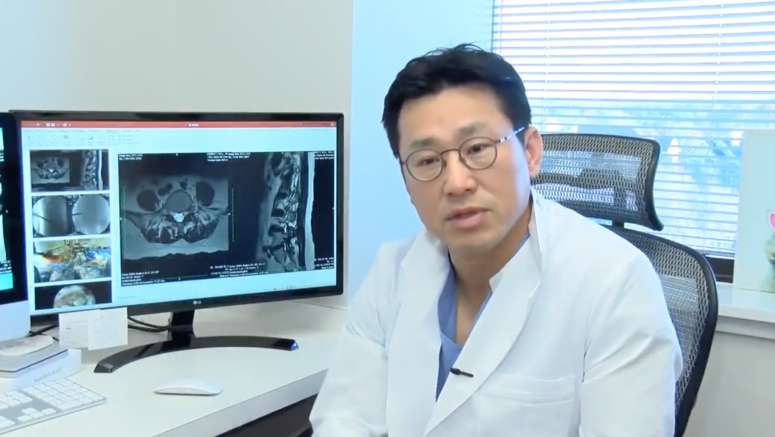 Robotic spine surgery is one of the safest, most accurate minimally invasive spinal procedures available. 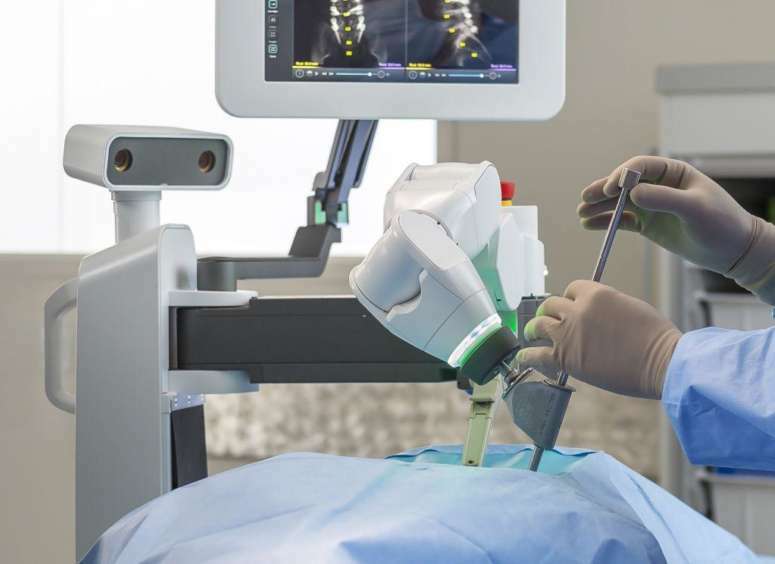 It allows surgeons to place implants with over 98% accuracy, reduces patient exposure to radiation and virtually eliminates error of the human hand.